Telfar Clemens is the New York designer that has built a career spanning more than a decade by borrowing the aesthetics of commercial homogeneity. Alongside creative director Babak Radboy, Telfar creates work which mimics the uniformity of mainstream fashion in order to subvert it. Sound complicated? 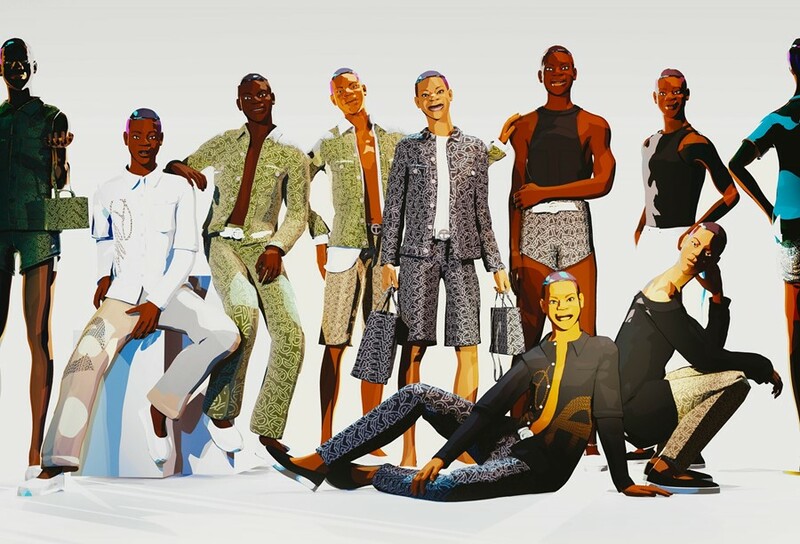 The designer put it best himself when interviewed for his Dazed 100 profile – “I want to be Michael Kors, but on purpose.” Never have these tropes been more prevalent than in his SS16 campaign, a trippy video created in collaboration with anime creators slash art collective Culturesport and supported by White Castle. The resulting clip pans slowly across an array of animated Telfars, lined up in a composition borrowed from old TV ads for brands Calvin Klein, Gap and Benetton. “On one level, we wanted it to be eerily familiar. We lifted entire campaigns that have just engrained themselves in the collective conscience.” There is, however, one key difference – diversity. The animated Telfars are arranged on a sliding scale of race and bodytype, a detail which underlines the brand’s “crucially different attitude towards race and gender”. As for the clothing, it’s all unisex, genderless: a key identifier of Telfar’s designs ever since the inception of his career in 2004. Asked about the increasing coverage dedicated to gender fluidity in fashion, the designer offers this insight – “There has been bold gender/identity play in fashion for a very long time. Fashion hasn’t changed — what’s changed is the way culture is reacting to it and the press is covering it.” He goes on to give one key example of a knitted mini dress shown as part of AW15... a mini dress which was subsequently splashed over Yahoo! News and even wound up on New York TV channel PIX11 News.